Today, I was shocked to read a Newspaper clip where it is reported that in Bengaluru if the present water crisis persist, then peoples have to evacuate within a decade. Now water is the most difficult problem in almost all states in the country. In Manipur also, due to the low water level of the Imphal River, the valley is facing the water crisis. In many parts of the town, water supply has been stopped. It's not just for Imphal and Bengaluru, water is now an acute crisis all over the country. India will have a water deficit of 50% by 2030 as per an estimate made by the Asian Development Bank. Increasing in population and reducing in rainfall and other water resources are the main cause for the global water crisis. World Water Day is celebrated on the 22nd March every year since 1993. The theme for 2019 is "Leaving no one behind". It is about tackling the water crisis by addressing the reasons why so many people are being left behind. Today, there are million people living without safe water at their households, schools, workplaces, farms and factories struggling to survive and thrive. 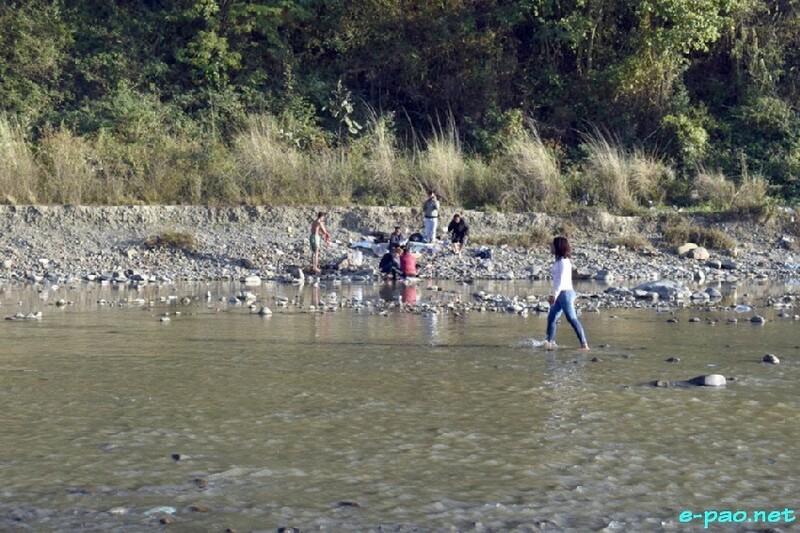 In Manipur, during our childhood, lands were abundant and each of the homesteads had a pond. We could get all our water requirements from these ponds. But now due to increase in population and also the land value, we hardly see such ponds in our locality. Therefore, we are compelled to know the importance of water. Water is life, sanitation and hygiene are dignity. All organisms contain water and depend for survival. Water is one of nature's most important gifts to mankind. Water is at the heart of adaptation to climate change, serving as the crucial link between the society and the environment. Water is crucial for all biodiversity including mankind. In a wide range of ecosystems, water is a dominant component. Water bodies or wetlands are among the world's most productive environments. They are cradles of biological diversity, providing the primary productivity for countless species of plants and animals. In our state to save from an acute water crisis, we need to save and conserve our remaining wetlands. Water is also an important storehouse of plant genetic materials. In short, water keeps our planet alive and well. Water helps the body metabolize stored fat; it may possibly be one of the most significant factors in losing weight. Water has the power to unlock education, create economic potential, and improve health. Access to water and sanitation is a precondition to life and a declared human right. Over the coming years, our water-related challenges will become more urgent. The increasing demands of a growing population and rapidly developing global economy, combined with the effects of climate change, will exacerbate lack of access to water and sanitation. In fact, the unpredictable supply of water could constrain socio-economic progress in the future. Celebration of World Water day also highlight the impacts of growing forests, creating rivers and fields rich with soil and restoring other natural elements of environments that are damaged, can assist in purifying water. Damaged ecosystems affect the quantity and quality of water available for human consumption. Water on Earth is constant. No water is added or taken out from the Earth. But the problem faced by the earth is its scarcity. Due to injudicious use of water, human is facing insufficient water. Our so called civilized society continues to contaminate this precious resource. Water covers 71% of the Earth's surface, and is vital for all known forms of life. 96.5% of the planet's water is found in oceans, 1.7% in groundwater, 1.7% in glaciers and ice caps. Only 2.5% of the Earth's water is freshwater and 98.8% of that available freshwater is in the form of glaciers, ice and groundwater and only about 1% are available with us. Out of this palatable water, the maximum are again in the lakes and rivers. Hence only a little fraction of water is available for our use. Approximately 70% of the fresh water goes to agriculture. The human body contains about 70% water. To keep us healthy, the body requires about 3% of our body weight which is about 3 liters of water daily. Water is necessary for the digestion and absorption of food; helps maintain proper muscle tone; supplies oxygen and nutrients to the cells; rids the body of wastes; and serves as a natural air conditioning system. A significant amount of disease could be prevented through access to safe drinking water, adequate sanitation and better hygiene practices. Diarrhoeal disease alone amounts to an estimated 1.5 million people deaths every year (WHO 2012). It is estimated that 8,42,000 deaths per year, is attributable to unsafe water supplythat includes 361 000 deaths of children under age five, mostly in low-income countries (WHO 2014). World Water Day called on each one of us to maintain and improve the quality and quantity of fresh water available to future generations. Water has the power to change lives. The power that turn dreams into realities and poverty into possibility. In Manipur, now we are facing water scarcity problem. The roots of our current water crisis go back a long way. Our state does not have a long term water plans like dams and other water storage facilities for any eventualities. Unluckily, all of our rivers are rain fed, there is no snow fed river in our state and hence when there is scanty rainfall, then we face the drought. Most of our water sources have been dried up during the lean season and incapable of supplying the water requirements due to lack of vegetation in the upper reaches. Therefore, felling of trees at river catchments should immediately be stopped. As an impact of climate change, the state is facing the scanty in rainfall. Now we need to spread awareness program about the water conservation. Every new house construction should compulsorily have the facility for rain water harvesting. The authority should install for more water treatment facilities in all localities from all resources. Promoting ideas for making the best use of existing water supplies should also be a core initiative. The state needs have a sewage water treatment plant which can save a huge amount of about 200 million litres water annually from unnecessary waste. Therefore, with the coming of World Water Day, 2019, we need to take care of our water today, and otherwise tomorrow may be too late for us from facing a dreaded water crisis in the state that cannot be solved forever.